Dissatisfied with the government under which you live? 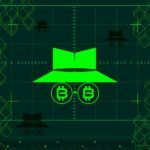 There is a growing community of people who believe that decentralized technologies such as smart contracts may offer solutions. An estimated 3 billion people worldwide are said to have little or no access to governance services or legal protection. These people belong to the so-called System D, informal economy, or happen to reside in jurisdictions that fail to meet their needs, including stateless individuals and refugees. The $6 billion global legal services industry fails to address most of this market, and may be ready for disruption. During Bitcoin Wednesday on 7 February, 2018, Susanne Tarkowski Tempelhof, founder of Bitnation will give a presentation on her blockchain-based Pangea project and the Ethereum-based PAT token, which her team has designed to address modern problems in traditional governance. She will be joined by developer Florian Lenz, who will explain the mesh communications network behind the application as well as their integration with the Ethereum blockchain. Her team plans to release a third iteration, Pangea 0.3, a smartphone app on Android and Apple stores, in time for a token sale in February 2018. Many millions — soon to be billions — participate in a global economy where their work and social interactions cross the boundaries of current territorial jurisdictions, and who require tailor-made borderless jurisdictions to provide adequate legal protections for their lives and livelihoods. Susanne Tarkowski Tempelhof created Wise Strategic Communications in Afghanistan, where she conducted research on local perceptions of governance in 2008. In 2011 she supported local grassroots movements in Egypt and Libya throughout the civil war. These experiences influenced her belief that the traditional nation-state model is unsustainable and inspired her to explore more ethical alternatives. She is also the author of the forthcoming book: The Googlement: The DIY Guide to Starting Your Own Nation (And Changing the World) and is a writer and public speaker at conferences at the University of Cambridge, London School of Economics and Global Leaders Forum, among others. She has appeared on television in eight different countries and in The New York Times, BBC, Wired, Bloomberg, TechCrunch, NASDAQ.com and The Wall Street Journal. She previously worked in Sweden, France, Brazil, China, Afghanistan, Pakistan, United Arab Emirates, United States, Libya, Egypt, Ghana, Netherlands and Indonesia. She participated in Bitcoin Wednesday’s Workshop on Governance in Blockchains and Digital Currencies held at Pakhuis de Zwijger on 2 December 2016. 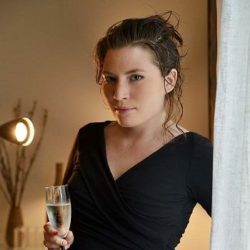 Susanne Tarkowski is the notorious CEO of Bitnation, one of the world’s first functioning virtual countries that provides blockchain-based IDs, public notarial services, education and p2p insurance. She is also the author of The Googlement: The DIY Guide To Starting Your Own Nation.